CMSC: When is Aggressive MS Treatment Justifiable? Induction or Aggressive Treatment for MS: Is it Right for Most, Some or No Patients? According to Dr. Brian Weinshenker, Mayo Clinic, the bottom line answer is it depends on the risk tolerance of the person being treated. Dr. Weinshenker delivered the Donald Paty Memorial Lecture on Induction or Aggressive Treatment to his peers gathered for the annual meeting of the Consortium of MS Centers (CMSC), the largest gathering in North America of clinicians, nurses, therapists, and others who provide medical care for people affected by MS.
Dr. Weinshenker presented both sides of the argument for and against aggressive treatment for MS, especially for the use of the more potent therapies at the sign of the very first symptoms for people newly diagnosed. “We have a variety of drugs that work on the immune system that have been shown to be effective, primarily in short term clinical trials, when these are first introduced. We have drugs that have been around 25 years or longer and a good feeling they are safe. Now we have more and more drugs, in general most of our (MS) drugs are pretty safe, but there are newer ones with serious risk. Many of the drugs are new and we don’t have long term follow-up” from patients actually being on the more aggressive therapies, said Dr. Weinshenker. Dr. Weinshenker said the newer MS drugs have not been in use long enough to know “what are the risks, how do we weigh them, and what is the actual evidence that translates to good long-term outcomes?” He presented the argument that only the original drugs of the interferons (Betaseron, Rebif, Avonex, etc) and glatiramer actetate (Copaxone) have been in use long enough to demonstrate their safety and efficacy, and are often thought of as platform drugs. But these are not the strongest drugs available for MS treatment. “I won’t have the answers – I don’t think there are right or wrong answers. 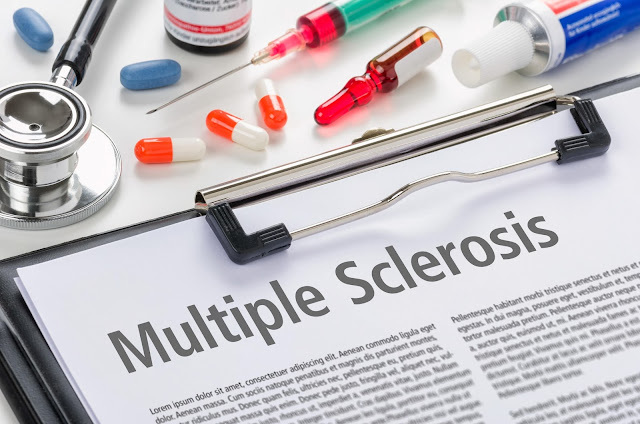 These are issues doctors face every day when they see their patients with MS – what treatment do I start, when do I switch, and how aggressive should I be? My final answer is we don’t have the answer, but we should continually look for evidence that what we are doing is beneficial. MS evolves over decades, so this is challenging to do,” with the newer drugs that haven’t been in use for decades, said Dr. Weinshenker. “There are varied approaches and my own approach is I will often say the drugs that have been around since 1990s, we know they are safe and effective and in terms of long term effectiveness, although it’s far from perfect, we have substantial evidence about their impact on disability and survival. As a patient, instead of saying they want the newest and hottest drug, they should be asking which one has been around a long time, and do we have a lot of safety information on it, especially since you are telling me I will be on that drug 10 or 20 years or even longer,” he continued. On the other side of the debate, Dr. Weinshenker says ‘other doctors say these (newer) medications are likely more effective and why not start that at the beginning. The brain is injured from the beginning and on the surface that makes sense” to use an aggressive approach to treating new cases of MS, but the evidence it will have the desired long term outcome is limited, but of course we can’t wait 20 years until we have answers” regarding their safety said Dr. Weinshenker. He conceded “some newer drugs do appear to be more effective” than the old drugs.